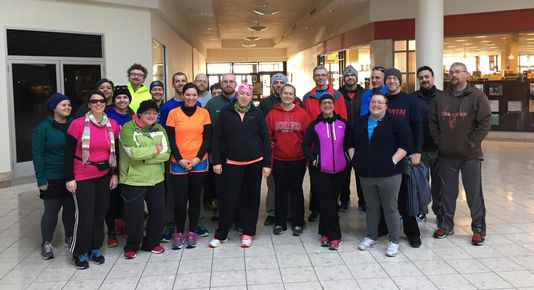 Church-based running team helps raise money for African community. Runners from Victory Life Church in Battle Creek, Michigan helped provide safe water, improved sanitation, and hygiene education for a community in Ethiopia this year through their fundraising efforts. Members of Team Victory Road Runners competed in the Kalamazoo Borgess Run marathon, half-marathon, 10k, and 5k on Mother’s Day weekend and raised $6,869. The Team Victory Road Runners trained together for months and set an ambitious goal: to raise enough money to provide an entire community with a sustainable source of safe water and sanitation. “We are a passionate group of believers in Christ from Victory Life Church who love to run,” said Pastor Jon Major. “We are training our bodies to reach new levels and we are excited for the journey that God has for us.” The team exceeded their goal of raising $6,000. Victory Life Church got involved with Activewater, the athletic division of Lifewater, through a connection with Daren Wendell, who last year ran across the United States in 100 days – averaging nearly 30 miles per day. Wendell’s long-distance run also raised money to benefit communities in Ethiopia, and he traveled to see the impact and need for safe water and sanitation first-hand. Nearly two in three rural Ethiopians do not have safe water, and 72% do not have access to improved sanitation. This leads to chronic water-borne diseases, which keep children out of school and adults out of work, keeping them in a cycle of poverty and poor health. With safe water and latrines, school enrollment increases, especially for girls, and people are able to participate more in community development, especially women. The funds raised by Team Victory on Mother’s Day weekend will help hundreds of Ethiopian mothers care for their children. “We finished with 35 runners competing. Every runner gave it their all, and celebrated as they crossed the finish line,” said Pastor Major. “It’s amazing what a group can do when your church is supporting you.” Team Victory and Victory Life Church continues to raise awareness and support for the effort to ensure all families have access to safe water, improved health, and the knowledge that God loves them and cares for them.